About seven years ago, singer/songwriter, Crystal Bowersox, was a the runner-up on season 9 of the hit reality show, American Idol. After a few record label changes, Bowersox signed with Shanachie Records in 2012. Now her latest release, Alive, is a collection of work recorded live. Bowersox shows her musicianship on “The Ride” through her ability to blend genres of blues, folk, Americana, and roots and pair those influences with her songwriting. It’s almost like she strategically reveals her layers with each song. The tenderness and contemporary country vibe of He Calls Me Angel illustrates the human in all of us and how comforting it is to have that significant person in your life that you can always count on to be on your side. One of the tracks that stood out to me was Dead Weight. Since this record was recorded live, on this track she gives you sneak peek of what one of her live performances is like, and there’s no way you can deny the artistry and musicianship of Bowersox after listening to this song. From front to back, Alive is a beautiful collection of songs that illustrate life as it is, and celebrates being alive. One of the most crucial aspects of being a musician is being able to emotionally connect with your audience. With Alive, Crystal Bowersox has achieved the epitome of what music is about, something that you can only find in artists that truly understand the power of music. I’ve been a fan of Crystal’s for a long time, but there is something about this record that sets me free. I sing along, and I feel and experience the songs. This record is one I’ve looked forward to (I was lucky to be in Santa Fe at The Kitchen Sink for the recording). It was a magical night – Christmas season, great audience, and amazing music. The remix of Arlene, the new songs, and the energy and emotion are fantastic. I will enjoy this record for a long time and will continue to anticipate live shows and all future releases; I know they will be extraordinary – it’s Crystal Bowersox after all! 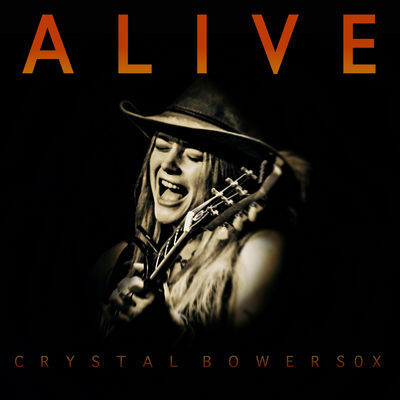 Get your copy of ALIVE by Crystal Bowersox. It is amazing! Have the album and it is her best work yet. It is alive with rich, wonderful music. Amen, fan since day one. Her live performances are amazing. He is a real person, not a primadona.